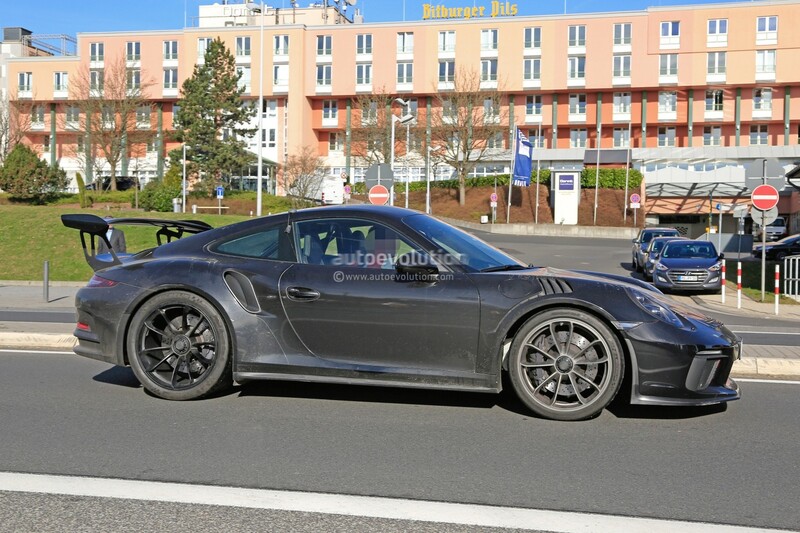 A prototype of the 991 GT3 RS was spied recently near the Nürburgring with little to virtually zero camouflage. 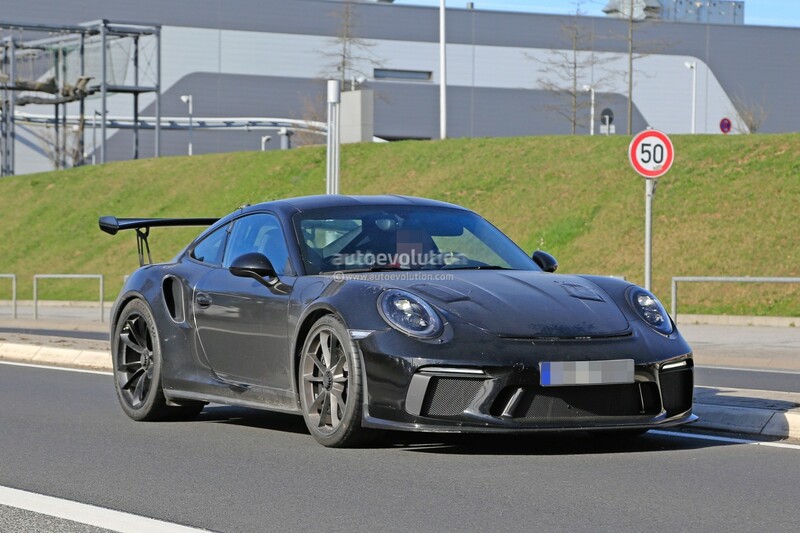 Although at first glimpse there seems to be little change versus today's GT3 RS (which recently ended its production), the stickers and black panels tell us that there's more than meets the eye. 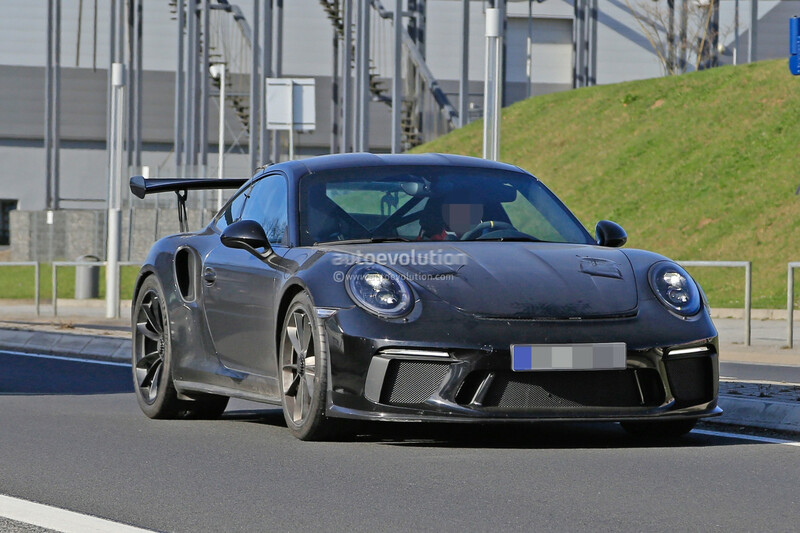 The prototype's nose provides the most obvious giveaway as it directly borrows the front of the new GT3 MkII. The trunk has two stickered air vents which, although differently positioned, bear resemblance to the GT3 R race car. At the back the prototype is equipped with an underbody diffuser similar to that of the 991 R, yet apart from that it is difficult to diffuse other significant changes. The new GT3's rear spoiler has been made a bit larger and was fitted a tad more to the back of the car. This could hint to a similar intervention for the upcoming RS car, but judging from the prototype it seems that the plan would nowhere near as drastic for the 991 as it was for the 997 RS facelift, for example. Little is known about the engine upgrade but the rumours aren't any less because of that: the flat-six would be bored out to 4.2L with an expected output of 525hp! All the excitement over a manual gearbox option returning to the GT3 does not (yet?) apply to the GT3 RS, however, following Andreas Preuninger's statement to Road & Track that the all-new GT3 RS would be PDK-only. The reasoning is that an RS is a track-focused tool bought to set lap time records, whereas the GT3 is more for everyday driving pleasure across the backroads. It makes sense, but we still hope the manual option will come for the GT3 RS. The GT3 RS facelift is expected to make its debut at the IAA Frankfurt this September.